The Philippines is spearheading the first International Día del Galeón Festival, commemorating the cultural exchange during the Galleon Trade and highlighting the Filipino and indigenous influence. The Filipinos built the galleons and up to 80% of the crew were Filipinos. 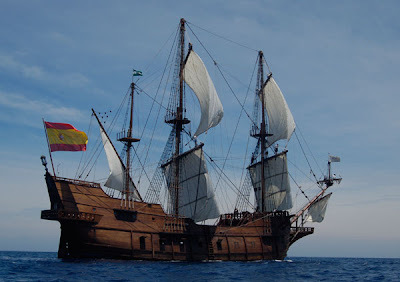 The Galeon Andalucia is a replica of the 17th century Galleon that has arrived in Manila by 7:00 am of October 6, 2010. Guest can hop on-board and jump into history! For Groups of 30 or more, email your information and desired time between 9:00am-12:00pm. If there are no slots available, we will give you an afternoon schedule. There is no need for reservation for individuals and groups with less than 30 people. Children under eight years old are not allowed due to safety reasons. Children under twelve need to be chaperoned. The Capacity of the Boat is 100 at a time, and guests will be asked to queue in line. Please expect some waiting. For large groups and walk ins, it is suggested that you arrive 30 minutes before your scheduled time slot. Late comers will be bumped off their slot. Some walking will be required from the registration to the boat, we advise that you are as comfortable as possible. 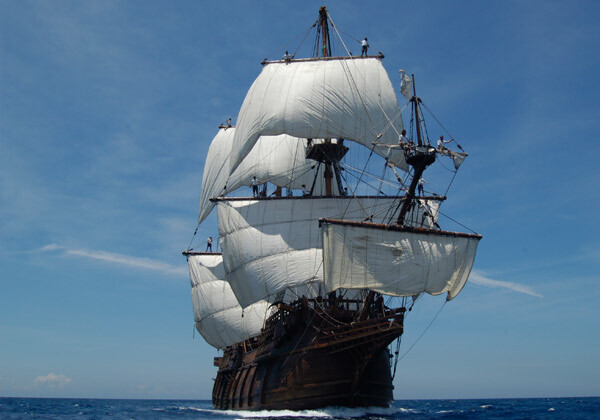 There will be waiting area where guests can view an exhibit, mural paintings and information on the Galleon Trade. Also, there will be a creative trade fair selling indigenous arts and crafts, and items from around the world. There is no ample parking at the pier, however there will be some at Quirino Grandstand. E-mail Abi Portillo at diadelgaleon@yahoo.com with your information including: day, time, number of guests, contact information.